South West Caravan Services would like to wish all our customers, past, present and future a very healthy and happy New Year! We hope 2016 brings you everything you wish for. The weather has provided some big challenges over the last few weeks and we hope that things will start to improve for everyone soon. For those of you who have managed to enjoy some quality time with friends and family, I’m sure you will agree that it is over far too quickly! For us, the festive period is a great opportunity to get together and start planning some family holidays or get-away’s. So if you have been doing the same, it’s time to start thinking about getting your caravan or motorhome ready for the up and coming 2016 season. Easter falls very early in 2016 and many people are likely to see what the weather is like before committing to going away. 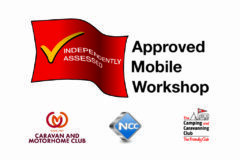 If there is a chance that you may take advantage of a last minute weekend away, make sure your caravan or motorhome is serviced and ready to go. Reputable caravan service engineers will be very busy in the run up to Easter with March and April being the busiest months. So why not give us a ring now to book your caravan service to ensure you get your preferred date? Most caravan services can be carried out on pitch whilst you are on holiday at your favourite location in Devon. This can be a convenient option for anyone who doesn’t store their caravan close to home. If you have been experiencing any problems with your caravan, don’t forget to let us know at time of booking; that way we can ensure we are carrying the correct parts for your particular caravan. New Year, New Caravan Mover? 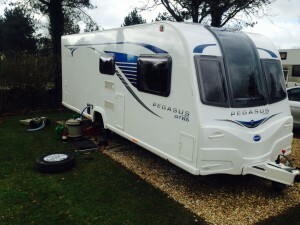 Thinking of treating yourself to a new caravan mover in 2016? We can supply and fit new Powrtouch caravan movers at competitive prices so don’t do anything until you have spoken to us! Order yours now and we can fit it at the same time as your caravan service.